The 2nd annual European Investment Summit takes place May 8-9 in Athens. With panel discussions, keynote presentations, and exclusive 1:1 meetings, this summit presents the perfect opportunity for networking and gaining critical insights into the Greek & Cypriot markets for 2018 and the near future. 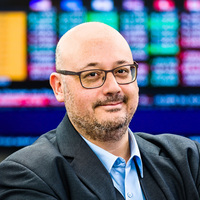 Solon Molho, a Toptal finance expert, will be one of the speakers. He will give a talk titled “The Greek Economy” which will include the latest developments and outlook. The event takes place at the Royal Olympic Hotel in Athens. For more information, please see the event website.